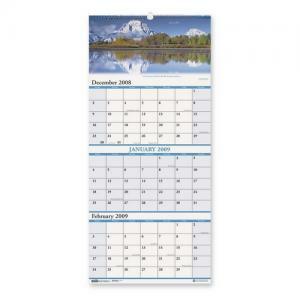 Media Size: 12.25" x 27"
Wall calendar features three months on each page and ranges 14 months from December to January. Each page offers the past, current and future month, full-color nature photo. Calendar pages are wirebound with hanger. Wall calendar is printed on 100 percent post-consumer paper.